Psilocybin is a naturally occurring psychedelic compound produced by more than 200 species of mushrooms, collectively known as psilocybin mushrooms. It has been used since ancient times for medicinal and spiritual purposes. In current times, psilocybin has been found to be effective for people with a number of mental health concerns. 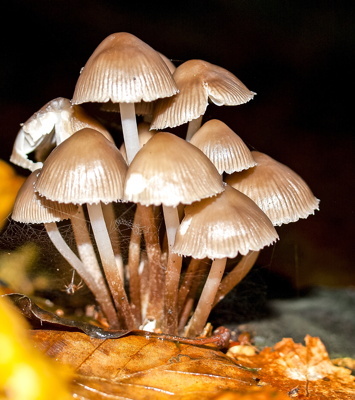 Psilocybin has been shown to accelerate the healing process in many people for distressing emotional symptoms, such as depression, OCD, and anxiety. Psilocybin-assisted psychotherapy combines the therapeutic effects of psilocybin with the support of an experienced and trusted therapist. The psychotherapy component of psilocybin treatment allows the client to process what is gained through the psilocybin experience with the therapist, supporting integration of these insights for lasting symptom relief. How does psilocybin-assisted psychotherapy work? Our past and current life experiences and the meaning we make from them can give rise to negative and overwhelming psychological, emotional, and physical symptoms. Factors such trauma, loss, discrimination, poverty, and other negative life experiences can shape our perception of ourselves and the world, including how we react and respond to life's challenges and our ability to navigate our emotions. These perceptions can become habitual patterns and cycles that contribute to suffering. Individuals who seek psilocybin-assisted psychotherapy often struggle with life-long or treatment-resistant depression and anxiety. They have tried other forms of therapy and are still in need of relief from their debilitating symptoms. Psilocybin can help clients break out of self-destructive patterns and reconnect with a sense of purpose, passion, and creativity in life. How can I get psilocybin-assisted psychotherapy? Our psychiatrist, Dr. Jordon Sloshower, is one of the leading experts in psilocybin-assisted psychotherapy. He is currently offering this as a treatment for depression through a study he is conducting at Yale University. Details of this opportunity are listed below. Therapists at BWC are available to assist people through the therapeutic use of psilocybin and non-ordinary states of consciousness. Purpose: This study will investigate neurobiological and psychological effects of psilocybin-assisted therapy in people with major depressive disorder. The primary hypothesis is that psilocybin administered in a therapeutic context will result in neuroplastic changes that parallel improvement in symptoms of depression. To participate, patients will need to be off psychiatric medications (e.g.,SSRIs) that may alter the effects of psilocybin (providers can discuss this with study physicians). Major exclusions include: Uncontrolled medical and neurological conditions, history of psychotic disorders or bipolar disorders in participant or first degree relatives, active substance abuse disorder. Experimental sessions will be embedded within a psychotherapeutic framework consisting of eight preparatory, debriefing, and follow-up sessions with trained psychotherapists. Electroencephalographic (EEG) data will be collected at four time points to assess changes in neuroplasticity. More information about this clinical trial of psilocybin-assisted therapy for depression: www.clinicaltrials.gov/ct2/show/NCT03554174.